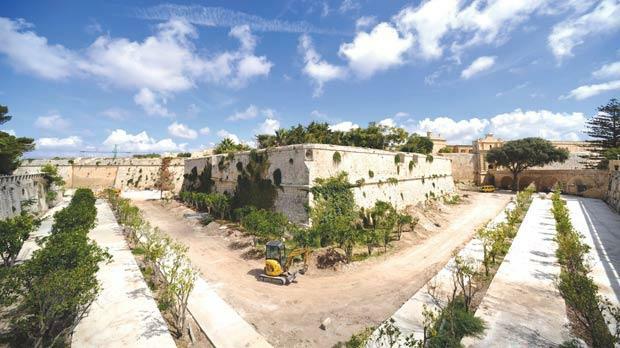 The Mdina ditch, which is being upgraded and landscaped, will be re-opened by the end of this year. Previously inaccessible to the public, the ditch was at the centre of controversy over the removal of some trees. However, Resources Minister George Pullicino, who visited the works yesterday, said none of the trees had been lost but were moved to highlight the bastions’ dimensions.